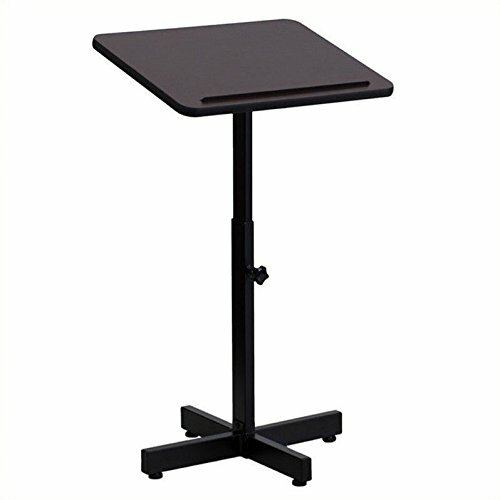 This lectern is ideal for presentations that doesn't require any supportive equipment. The simplistic design of this lectern makes it ideal for conference rooms, meeting halls and in classrooms. This podium features a slanted top that will prevent papers, books and writing utensils from sliding. The height adjustable knob makes it easy to adjust for different speakers.